I am so excited to invite all of you to an amazing chic holiday accessories party! 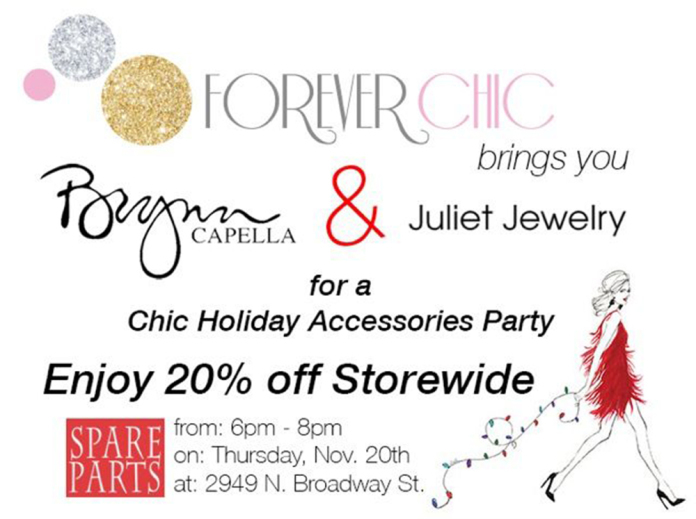 I along with Brynn Capella Handbags and Juliet Jewelry will be having a party at Spare Parts in Lakeview. You can enjoy some lovely sips and treats alone with 20% off your storewide purchase! So, whether you are looking for a little something for yourself or wanting to start your holiday shopping early, I would love to see you all there!